Indian Motorcycle, America’s First Motorcycle Company, is proud to announce that the number #001 Limited Edition Jack Daniel’s Indian Chief Vintage motorcycle was auctioned at Barrett-Jackson Las Vegas on Saturday October 15 and raised $150,000 for Operation Ride Home, a program that assists active duty U.S. military personnel in traveling home to visit their families through a partnership with the Armed Services YMCA. 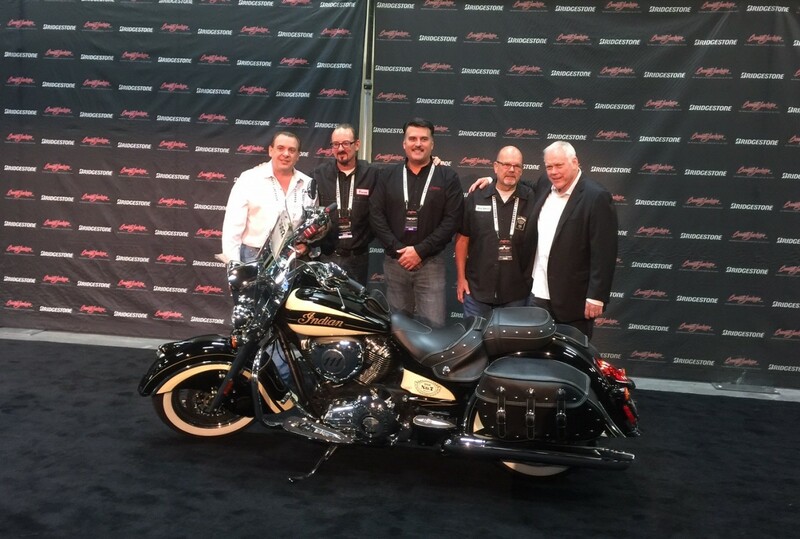 One hundred fifty individually numbered 2016 Limited Edition Jack Daniel’s Indian Chief Vintage and Indian Springfield™ motorcycle models were made available for purchase on March 4, 2016. All but #001 of the 150-unit production run sold in just eight hours on the first day of availability, with that first unit being saved for this auction. These motorcycles represent the first time in the century and a half history of Jack Daniel’s that any vehicle has had an officially sanctioned Jack Daniel’s livery, making this motorcycle even more special. #001 was auctioned at world-renowned Barrett-Jackson Las Vegas on October 15 at the Mandalay Bay resort. Collector Vincent Amato won the bidding and will take the motorcycle home to display in his collection. The full $150,000 of proceeds from the auction will benefit Operation Ride Home, which assists active duty U.S. military personnel in traveling home to visit their families. Approximately 700 individuals – both service members and their families – will be reunited this holiday season care of this sale alone. Created to commemorate the 150th anniversary of the Jack Daniel Distillery and designed in conjunction with Klock Werks Kustom Cycles of Mitchell, S.D., both Limited Edition Jack Daniel’s Indian Springfield and Indian Chief Vintage models feature an array of genuine Indian Motorcycle accessories, as well as Jack Daniel’s-inspired custom paint and logos, badging, leather saddle and saddlebags. Each fender is inscribed with the names of the seven Master Distillers who have overseen the Jack Daniel’s distilling process over its 150-year history, and an inscription of Jack Daniel’s “Bottles and Throttles Don’t Mix” mantra reminds riders that drinking and riding are meant to be enjoyed separately. Finally, both models also came with a custom-printed Jack Daniel’s whiskey barrel top to commemorate each bike, a two-year unlimited mileage factory warranty and free membership in the Indian Motorcycle Riders Group™ for one year. For more information about Operation Ride Home, or to make a tax-deductible donation, please visit www.JDOperationRideHome.com. Around 20 of the 150 units were sold in the EMEA region. Sadly none could be sold in France due to alcohol promotion laws.